Jesus cried, saying, If any man thirst, let him come to Me, and drink, and as the Scripture saith, out of his innermost being there shall gush torrents of living water. Jesus promised His bewildered disciples that He would not leave them as orphans, but that He would pray to the Father who would send them another Comforter who would come alongside to help them and would abide with them forever. Jesus promised the Holy Spirit would teach them all things and bring to their remembrance all the things that He had commanded them. In his warm personal style, Pastor Chuck Smith, a bible teacher for over fifty years, paints an intimate picture of the work of the Holy Spirit in the life of the believer: He is to conform you into the image of Jesus Christ; He is to come alongside of you to help you in your walk; He is to teach you all things; He is to give you an understanding of spiritual things; He is to give you the power to be a witness of Jesus Christ. Do you desire to live a more powerful and rewarding life as a Christian? Have you ever wanted to be more fruitful and victorious in your walk as a believer? 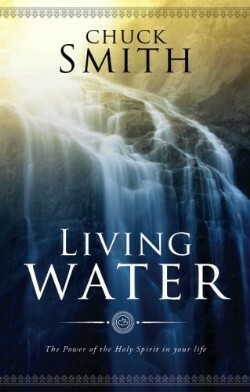 In Living Water, Pastor Chuck Smith explains the benefits and blessings we receive when we understand the person of the Holy Spirit and allow his power to be infused into our lives.